Syngenta Seedcare: On the forefront of seed treatment research and innovation so you have the best possible solution. 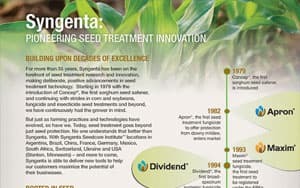 At Syngenta, we strive to develop seed treatments that optimize your seed’s performance rather than create a generic blended product that may not yield results. We’re transparent and want you to know what’s on your seed so you can confidently ask for a Syngenta seed treatment by name. With novel active ingredients and crop specific seed treatment recipes across all major crops, our goal is to improve germination, seedling vigor, plant stand and healthy root systems to get your crops off to a great start. 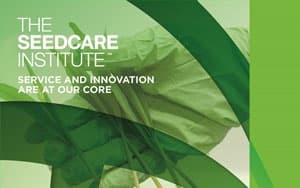 Our Seedcare Institute™, with 3 locations in North America, tests active ingredients to ensure they stay on the seed, reducing dust-off and improving plantability. We test all of our seed treatments in various field planter equipment (including mechanical and pneumatic systems) across all environmental conditions to ensure optimal performance and ease of use. Our comprehensive efforts help protect your seed so your crops realize their full yield potential at harvest. Offers best-in-class insect protection and delivers systemic root protection against certain seedborne, soilborne and foliar disease. 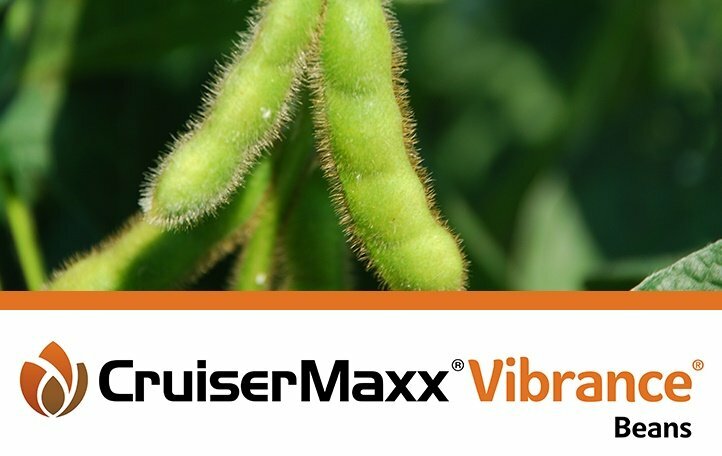 Delivers season-long, lethal activity against SCN with a new easy-to-handle premix of Clariva® pn nematicide and CruiserMaxx® Vibrance® seed treatment. Offers triple protection against nematodes, insects and diseases, as well as enhanced root health. Helps cereal crops establish stronger, more vigorous roots. Rooted in seed treatment innovation. Delivering new tools to help customers maximize their business. Top 5 tips for treated seed. All photos are the property of Syngenta or are used with permission. © Important: Always read and follow label instructions. Some products may not be registered for sale or use in all states or counties. Please check with your local extension service to ensure registration status. The trademarks or service marks displayed or otherwise used herein are the property of a Syngenta Group Company.